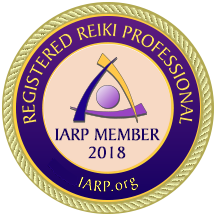 Follow up sessions are not typically required, but most people find Reiki so incredible that they want additional sessions. It truly depends on how you feel, and how chronic your condition is. With long term issues, it may take a few sessions to see relief. Some may feel the need for once per week, once every two weeks or once per month. You may find you only need a session when the urge presents! In any case, after your first visit, Reiki session are $85 for 60 Minutes. 5 minutes to talk/share your needs, 50 minutes on the table, 5 minutes to gather your thoughts and discuss the session or plan your next visit. You can break this visit down however you like! If you prefer to talk for 15 minutes and have 45 on the table, it’s perfectly fine. It’s my goal to help you find healing balance, however you prefer to break up your session. CALL 601-668-4291 to schedule a follow-up session with Tracy.